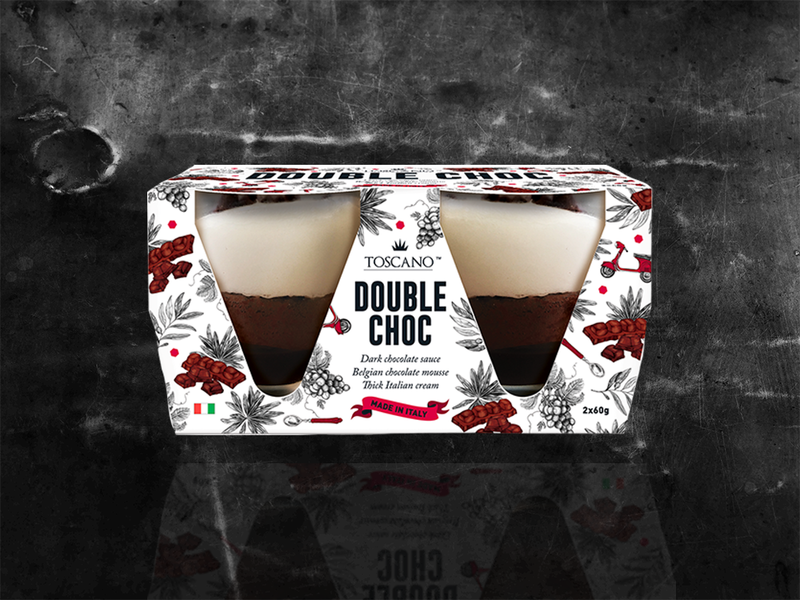 Double Choc, what we eat after the after party. 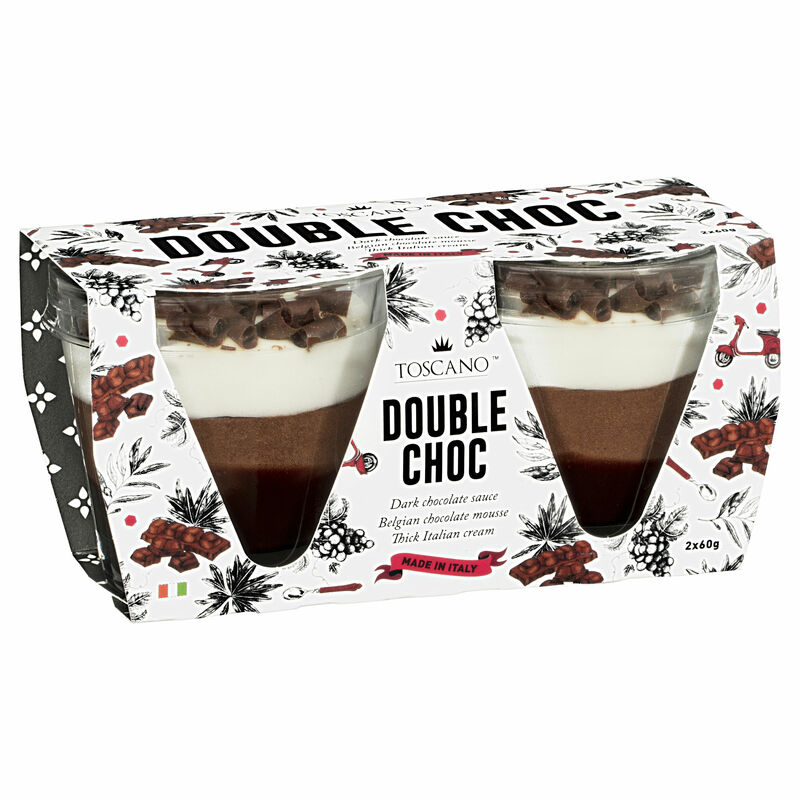 Four indulgent layers, one heavily rich dark chocolate sauce, a Belgian chocolate mousse whipped enough to eat with a butter knife, a traditional Italian cream and a final scattering of Dutch dark chocolate flakes. Water, Glucose Syrup, Coconut Oil. Glucose Powder, Sugar, Cream (3%), (From Milk), Dutch Dark Chocolate Curls (3%), Emulsifier (Soy Lecithin), Natural Flavouring), Milk Protein Powder, Milk Powder, Belgian Cocoa Powder, Egg Yolk, Alcohol (1.3%), Belgian Milk Chocolate (0.8%) (Milk Powder, Emulsifier (Soy Lecithin), Natural Flavouring), Gelatine, Emulsifier (471), Egg White Powder, Thickeners ( 407, 406, 415 ), Lemon Fibre, Natural Flavouring. Contains 1.6ml alcohol per 100g. Dark Chocolate contains 57% cocoa solids. Milk Chocolate contains 35% cocoa solids. . Contains Egg, Milk & Soy. May contain Wheat & Tree Nuts.